Julian Assange's stay at the Ecuadorian Embassy in London could finally be drawing to a close. Six years after he fled to the country's diplomatic mission in Knightsbridge, yards from the world-famous Harrods department store, facing extradition to Sweden on sexual assault allegations, the WikiLeaks founder appears to be burning bridges with the only people known to have helped him since then. The Swedish case may have since been shelved but he's still wanted by British authorities for jumping bail and entering his Ecuadorian refuge in 2012. Back then, the activist triumphantly praised Ecuador as the "courageous Latin American nation that took a stand for justice." But as the relationship has deteriorated over the years and Ecuador's leadership has changed hands, Assange has found himself in an increasingly precarious position. Will 'catgate' spell the end of Assange's stay? 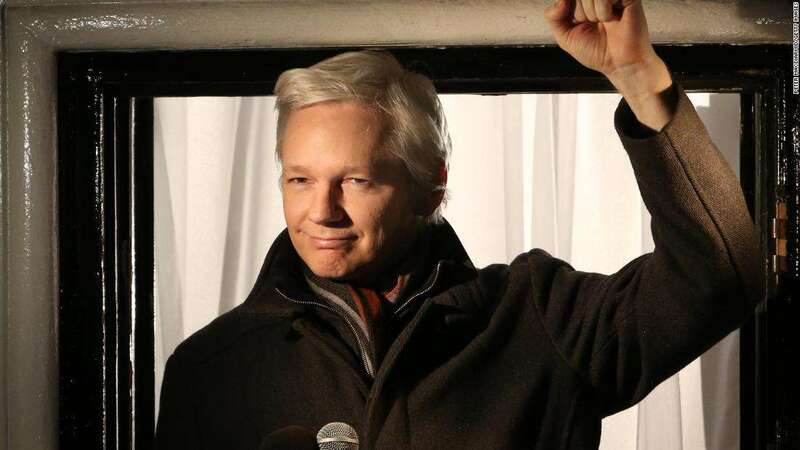 On Monday, an Ecuadorean judge rejected the WikiLeaks founder's legal action against the country's government in which he claimed that new asylum conditions imposed by the embassy were "violating his fundamental rights." Judge Karla Martinez said Assange will have to obey a new set of house rules, which include paying for his own food, medical and laundry bills as well as cleaning up after himself and his cat. Assange -- with a flowing snow-white beard and long shoulder-length hair -- appeared before the judge in Ecuador's capital Quito via video link from London. He claimed the new rules were a clear indication Ecuador was trying to push him out and accused President Lenín Moreno's government of preparing to revoke his asylum. There has been no love lost between Assange and Moreno -- who came to power in 2017 -- and has since described Assange as an "inherited problem" and "more than a nuisance." While Assange has previously said his position in the embassy was under threat, it is understood the relationship has degraded to the point that he believes he's being deliberately restricted so that he might choose to leave on his own, sources told CNN in May. But Ecuadorian Attorney General Íñigo Salvador denied this last week, telling reporters the country was "not looking to revoke" Assange's asylum. "The only thing that Ecuador's state has told Mr. Assange is: Your asylum problem is a problem between you and the British justice." With these comments, Ecuadorian officials are increasingly distancing themselves from the 47-year-old activist while also trying to put its house in order. Salvador reiterated that the activist will be allowed to remain at the embassy for as long as he wants. "The only restrictions that Mr. Assange has been imposed are the ones referring to the hygiene. He needs to maintain inside the spaces we have accommodated for him and to look after his mascot (cat) as apparently it roams free through the offices," Salvador explained. The new rules -- seen by CNN and first published by Ecuadorean website Codigo Vidrio -- stipulate that if the cat's welfare is not improved, the head of the embassy will request that Assange give the feline to another person or rehouse it. Salvador said Assange shares a meeting room, reception and the kitchen with the embassy's staff and that his living arrangements within the building interferes with the work of the diplomatic mission, which is why the new rules were written in the first place. In an interesting development, Salvador told CNN that Assange was sent a letter by Foreign Minister José Valencia in August giving him two options: stay at the embassy under the new rules or hand himself over to authorities. If he did decide to face UK justice, Salvador said Ecuador had received guarantees from the UK that his punishment for skipping his bail would not exceed six months and that he "won't be extradited to a third country where he could face the death penalty." Assange has always feared being extradited to the US, and in the past his lawyers have claimed he could face execution there. CNN has not been able to independently confirm the UK's assurances and whether or not they are still valid. WikiLeaks did not give CNN an official comment. Meanwhile, the UK Home Office told CNN it would "neither confirm nor deny that an extradition request has been made or received until an arrest is made in relation to the request." And there are still further signs that indicate the fractured relationship that Assange has developed with the Ecuadorians during his long stay. Ecuadorian lawmaker Paola Vintimilla claims she has seen documents that point to "irregularities" with his Ecuadorian citizenship process last year. She has asked the government to revoke his citizenship and called for a sit-in demonstration outside the main presidential palace in Quito on Wednesday. In a video posted to her official Twitter account, she said that Assange has also "undermined our country more than once and now he has decided to bite the hand that feeds him and sue the Ecuadorian state." Her comments appear to reflect a growing displeasure in Ecuador over how much Assange has cost the South American state over the past six years. It emerged Monday during the hearing that the bill for Assange's stay in the embassy has totaled $6 million to date. CNN's Claudia Dominguez contributed to this report from Atlanta while Ana Maria Canizares contributed from Quito. World - U.S. Daily News: Julian Assange: The house guest who overstayed his welcome?